We haven't done a nail polish inspired post in forever. And today I'm feeling pink. Hot pink. 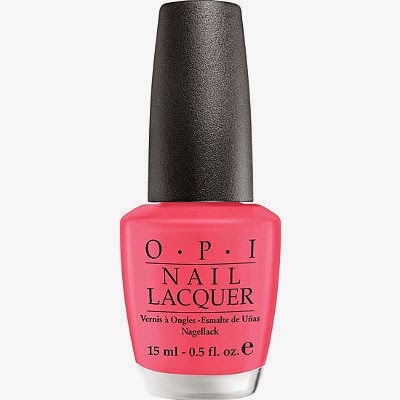 OPI Feelin' Hot Hot Hot pink. This dress is a canvas. Wear it simple with these heels or have fun with some accessories. Simplicity. Like a tall drink of pink water. Ok F21, I see you stepping up your game. Love this, especially the neckline and sleeve. 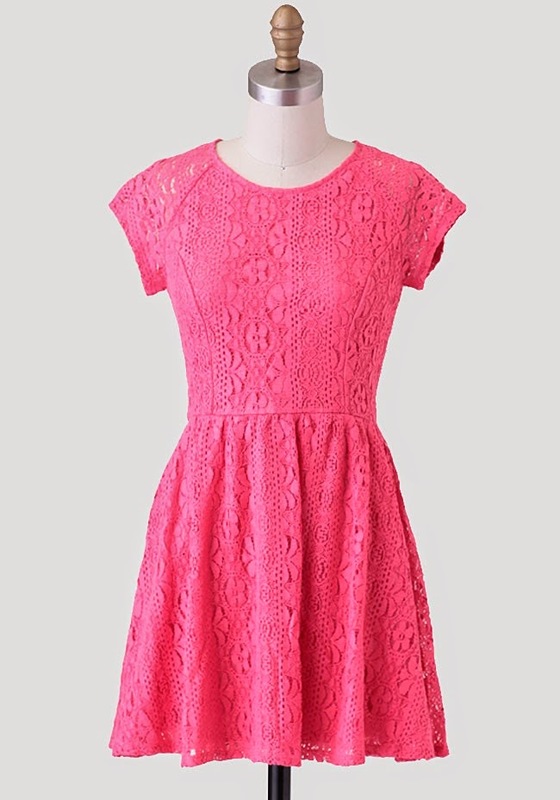 The mix of soft lace with a skater style cut is perfect in this hot pink. How about this pink? Not quite highlighter but certainly not blush. Work it.